The Athletic Genius: Puma's Mobium XT is Here to Move With You, Not Against You!! Puma's Mobium XT is Here to Move With You, Not Against You!! 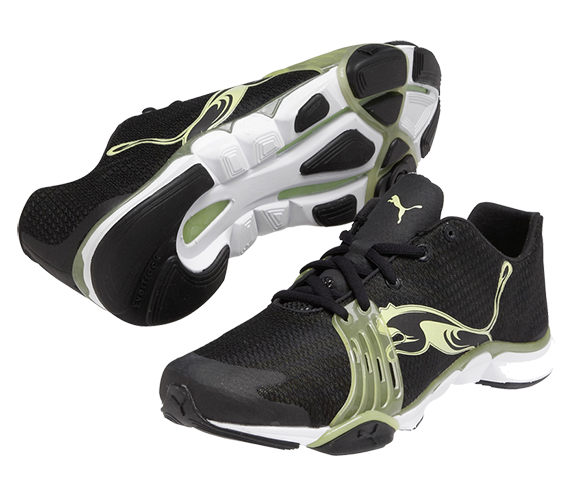 The Mobium XT by Puma is lightweight, minimal, breathable, and sleek – with support in all the right places. Key design elements are taken from the PUMA Mobium running shoe. But this cross-training version's midsole is built lower to the ground to help increase agility, enhanced by new features such as a pivot point and TPR layer for support when you kick, bend, and crunch. The Mobium XT Band through the outsole's forefoot allows the foot to move and expand freely. It works together with the outsole's deep flex grooves to support side-to-side movement. The forefoot's Mobium Fit Band attaches to a lacing system for adjustable support. Finally, the women's specific last and fit means this shoe is made to move with you, not against you. German Elite Trainer, Fernando Brandao, put the Mobium XT to the test.